Audi will soon bring out its 2012 R8 models for the US market. 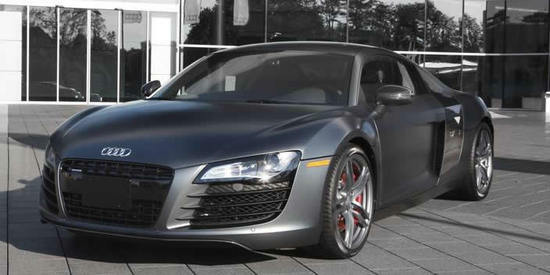 Based on the R8 V8 and R8 V10 Coupes, the Exclusive Selection Editions are slated to debut later this month. 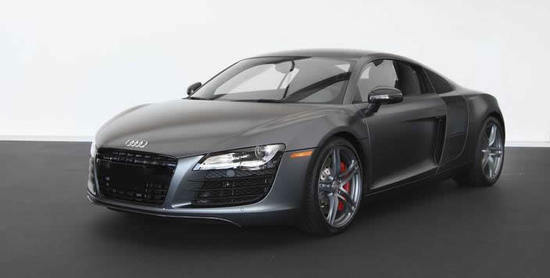 Limited to twenty 2012 Exclusive Selection Edition R8 V8 vehicles and thirty 2012 Exclusive Selection Edition R8 V10 cars, these will surely be high on most luxury-lover’s wish list. 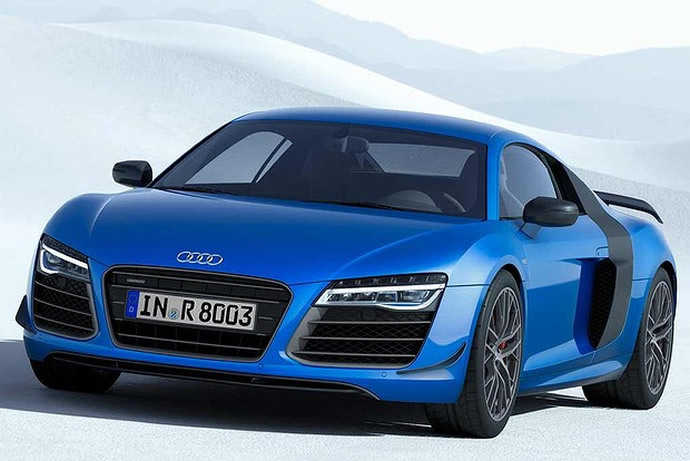 The R8 V8 will come with new exterior colors such as Daytona Gray matte with carbon fiber exterior splitter and diffuser, 19” titanium five-arm double spoke wheels, black grille surround, black exhaust finishers, R8 GT tail lamps, and red brake calipers. 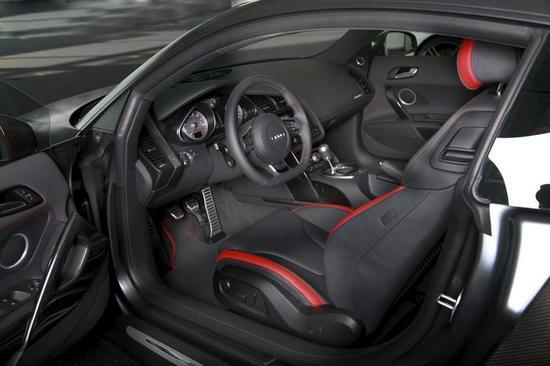 On the inside you can pick an exclusive leather makeover featuring Crimson Red elements and contrast stitching, with leather Navigation surround, and a thicker contoured leather multifunctional steering wheel for a sportier grip. 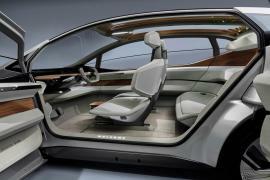 This baby will sport a 4.2-liter V8 engine under the hood along with a Bang & Olufsen sound system under the Audi Music Interface. 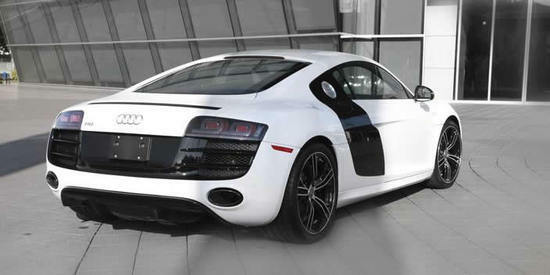 The limited edition R8 V10 on the other hand comes with a shimmering Ibis white paintjob with black sideblade, exterior mirrors, rear license plate surround, and tail lamps alongside 19” bi-color e-tron wheels. 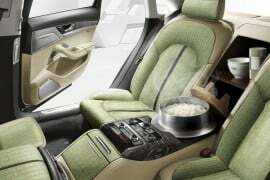 On the inside you can expect Ibis finishes and Alabaster White contrast stitching, with Carbon Fiber monoposto driver’s cockpit, with an exclusive leather Navigation surround and contoured steering wheel. 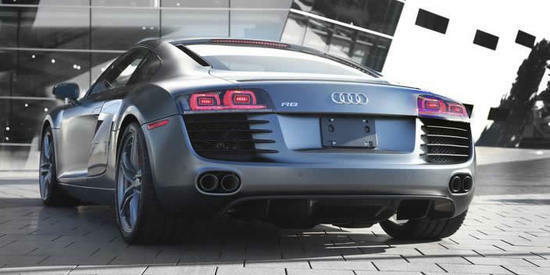 The R8 V10 comes with a 5.2-liter FSI V10 engine. 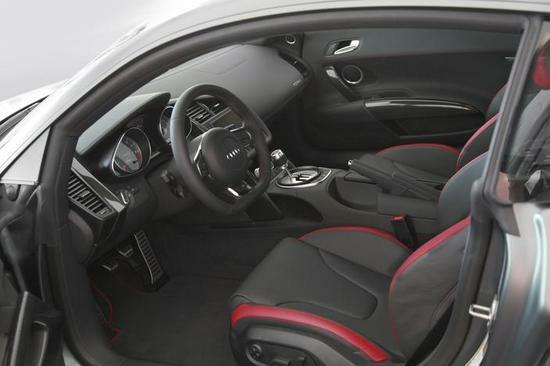 The manual transmission model of R8 V8 is priced at $137,700, while the R tronic transmission version will cost you $146,800. Similarly, the manual transmission model of R8 V10 will cost you $161,500 whereas the R tronic transmission is priced at $170,600.